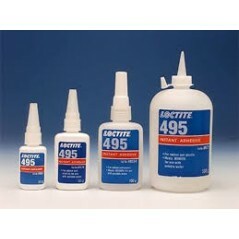 By buying this product you can collect up to 460 loyalty points. Your cart will total 460 points that can be converted into a voucher of 0. 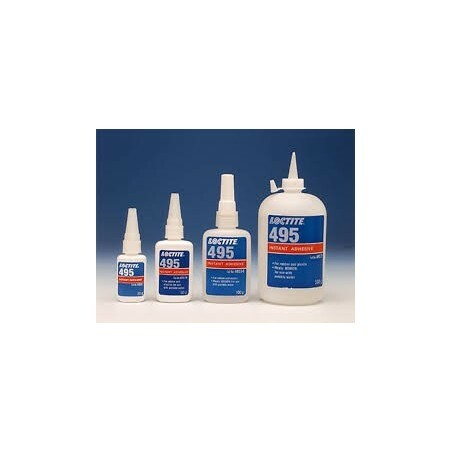 Loctite® 495 Super Bonder Instant Adhesive is a general purpose cyanoacrylate instant adhesive, designed to bond rubber, metal, and plastic parts with gaps to 0.004 inch. Particularly suited for bonding a wide variety of materials, such as metals, plastics, elastomers, paper, leather, cork, fabric, wood, chromate plated parts, etc. Fixture time: 5 – 20 sec.